On this page you will find all the rules that you need to play forms of 5-a-side, 6-a-side and 7-a-side. The English FA brought out a set of rules for the small sided game, which was last revised in February 2012. See this link to the official English FA Small Sided Football Laws of the Game (see the bottom of that page or click on the picture below to download) for access to the full document. Whilst this is a useful guide, many of the actual competitions here in the UK are playing to a set of rules which require further explanation (for instance, they often use height restrictions and prohibit players from going in the area). 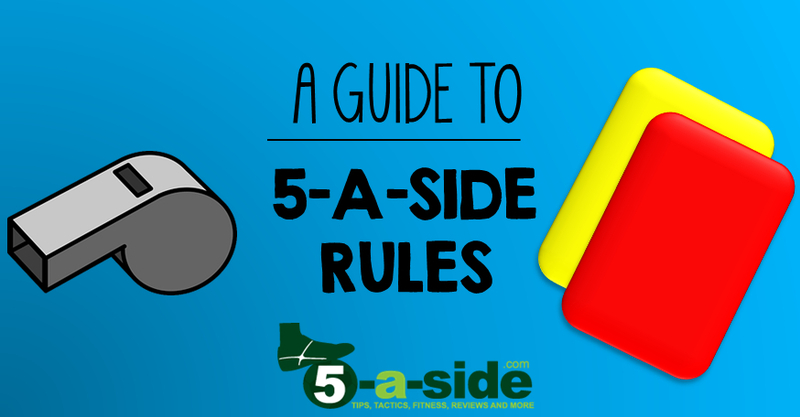 To help you understand the rules in popular use, we’ve written our own guide to 5-a-side rules, which will guide you through the process of tailoring the rules for your own games and competitions. If you can’t be bothered with that, you can get started immediately with our simple list of 5-a-side rules. Both of these documents can be used under creative commons, though please refer back to 5-a-side.com when doing so. The rules contained in the documents are not necessarily the rules that we like the most, but these are the most common rules in use. Amend them to suit your own requirements. These rules can also be amended to suit 6-a-side and 7-a-side formats of the game. If you are playing Futsal, you need to use the official set of rules for that format. The best source of Futsal rules is FIFA’s official rule book for 2015. At 156 pages, it’s a heavy read. If you have any questions, comments or feedback on this page, let us know in the comments below or get in touch with us. So it does. Changed now. Thanks!